Before you head to Scandinavia’s charming city, you’ll want to know these Copenhagen facts to add some fun to your travels. Denmark’s capital city is a wildly popular European tourist destination that can easily delight all your senses. Always lauded by visitors, Denmark’s capital is renowned for its shopping and nightlife scene while also boasting numerous historic monuments and modern architecture. 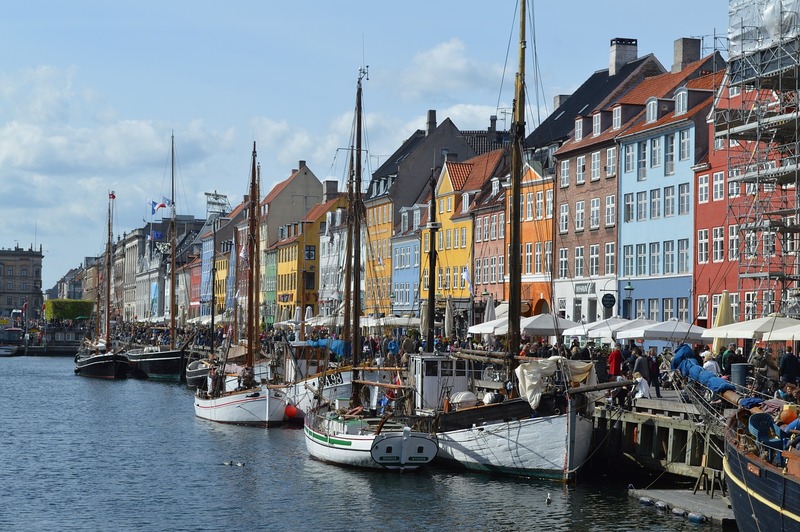 Although there are many stellar attractions in Copenhagen, you should be aware of the fact that there are also many hidden gems that should be considered by adventurous travelers. Also, there are many things you most likely do not know about the city, including what is said below. Try to learn all that you can about Denmark’s capital before your visit so that you can plan a truly remarkable vacation. Denmark is renowned as the happiest country in the entire world so it should be no surprise to see that locals in Copenhagen are exactly the same. As the happiness scale is ranked from 0 to 10, Denmark stands at an incredible 7.6, according to UN’s 2013 World Happiness Report. This is a guarantee. Dozens of great museums and art galleries wait for you. If you are an art lover, you do want to consider the Danish National Gallery, the David Collection, The Arken Museum of Modern Art and Ny Carlsberg Glyptotek, just to name a few. This Scandinavian city really cares about the environment, with locals being really proud of their eco-friendly approach. In 2014 Copenhagen was named Europe’s Green Capital. This is because of its particularly clean harbors, its shops filled with eco-conscious wardrobes and its electric buses. To make matters even more interesting, 60% of the hotel rooms are officially labeled as being eco-friendly. Also, by the year 2025, officials want Copenhagen to become the very first city that is carbon-neutral in the world. If you had your doubts about how eco-friendly Copenhagen is, just think about the fact that cycling is the locals’ main transportation method. Around 50% of citizens use bicycles every single day. This is a city that was built in order to cater to the needs of cyclists and bikers. There are separate bicycle lanes present on most of the large roads so do enjoy some biking if you visit. This is not the sort of thing that is advertised to international tourists but you might want to know that in Copenhagen you can find the largest pedestrian malls in the world. Stroget links City Hall, Kongens Nytorv and Norreport Station. We are talking about a shopping center that includes everything you would expect, including high-end fashion stores for window shopping purposes and budget-friendly thrift shops. Last but not least, the Danish capital, although small as compared with other huge travel destinations from Scandinavia, houses a huge list of world-class restaurants. This includes Relae, Royal Smushi Café, Kodbyens Fiskebar and Chrisianshavn. Copenhagen is definitely a paradise for foodies, with over 12 Michelin stars. If you’re heading to Scandinavia’s most chrming city, then you’ll want to remember these Copenhagen facts so you can enjoy the most that this beautiful city has to offer. If you’re looking for more travel tips or budget flight hacks, then be sure to subscribe so you never miss a post!